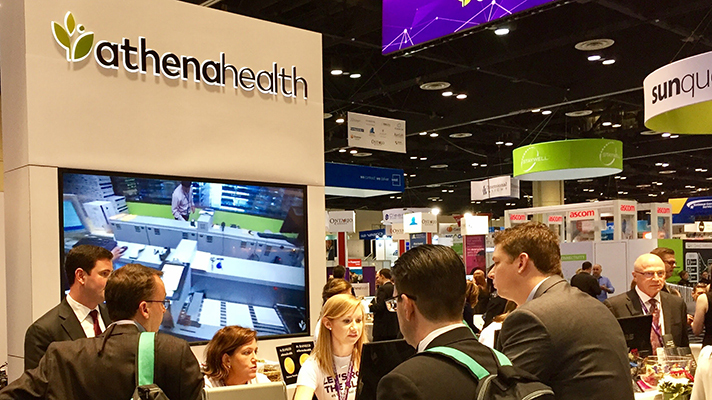 Financial analysts are suggesting that the computing giant buy athenahealth to gain a foothold in the healthcare space. That's hardly ever the case in health IT, but that’s another matter. The ball started moving when Citigroup analyst Garen Sarafian wrote in a note to clients that the acquisition would give Apple some 83 million patient records, the cloud vendor’s Epocrates mobile app for doctors and the company’s physician network, CNBC reported. Whether that was an indirect reference to athenahealth – well beyond the startup phase at this point – or any number of smaller companies, questions have arisen lately about whether athenahealth is ripe for acquisition. Bloomberg, for instance, called the company an attractive target after activist investor Paul Singer’s Elliott Associates firm bought nearly 10 percent of athenahealth’s stock. Athenahealth public relations and social media director Holly Spring said that the current speculation is just rumors. “Our focus remains on building a national information and innovation network, one that drives clinical and financial results to healthcare organizations of all sizes,” she said.